It’s hard raising children in the digital age and having to worry about what internet sites they browse, if they are watching inappropriate TV content or if they’re staying up beyond bedtime to check social media. Xfinity is helping you to protect your kids online and when they’re watching TV. Here are some tips on how you can set controls for TV, Internet and more. Xfinity xFi – Allows you to set up Parental Controls for the internet and lets you manage your home WiFi network. 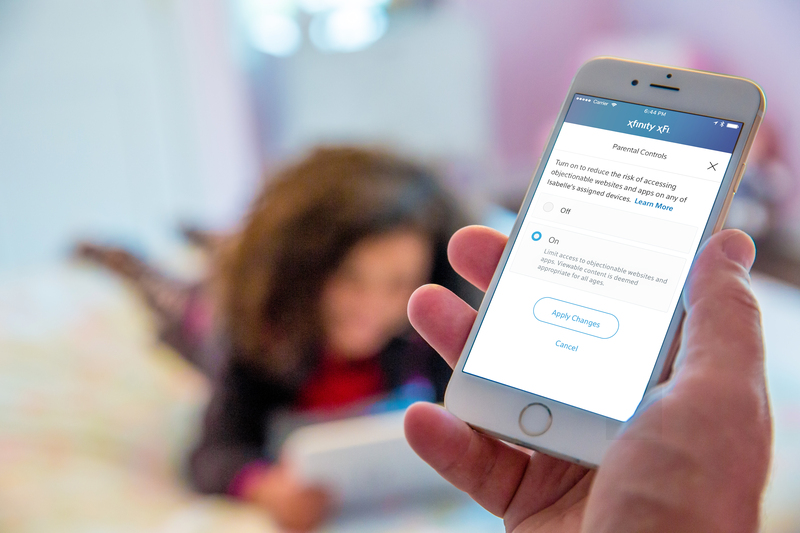 With xFi, you can view connected devices, pause WiFi access for any device, and set rules as you go – like putting a device in “bedtime mode” to ensure kids can’t surf the internet between 9 PM and 7 AM. Xfinity xFi is available to Xfinity Internet customers with a compatible Xfinity Gateway and can be downloaded onto your smart device via the Apple App Store or Google Play. Xfinity X1 Kid Zone – Provides parents peace of mind by offering a safe and secure experience for kids to independently explore their favorite content and discover new programming. PIN Set-Up – Helps restrict unauthorized orders of Xfinity On Demand programs and Pay-Per-View events by setting up a purchase PIN – you can even set it up right from your remote control.